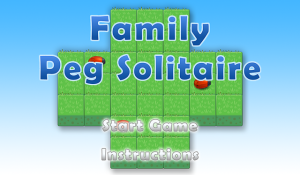 Family Peg solitaire is a popular board Game for one player involving movement of bugs on a board. The object is to finish the game with only one bug remaining on the board. You can remove a bug by jumping over it with another bug. Only horizontal and vertical jumps are allowed and you can jump only one bug at a time. * The game is for FREE! Jumper for BlackBerry – Accelerometer Based Fun!